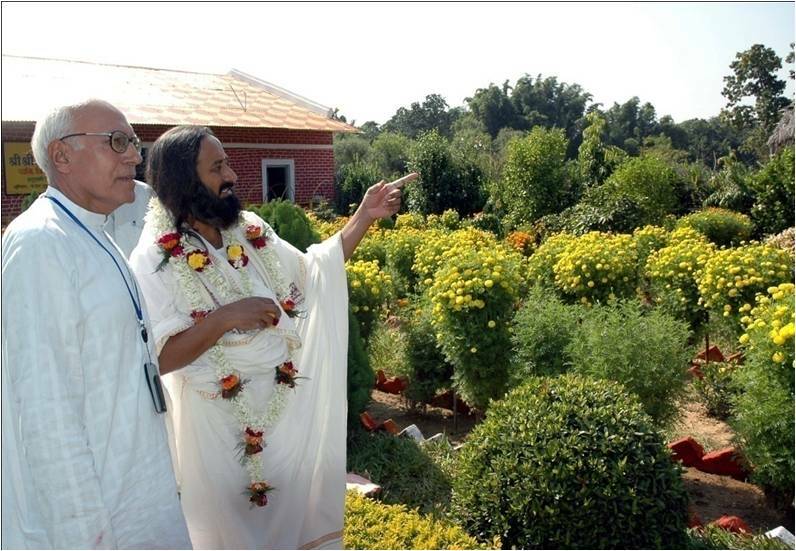 In 1999, Shri Brij Bhushan Chawla was blessed by H H Sri Sri Ravi Shankar, the founder of the Art of Living, to start tribal schools in Jharkhand, one of the most backward states of India. 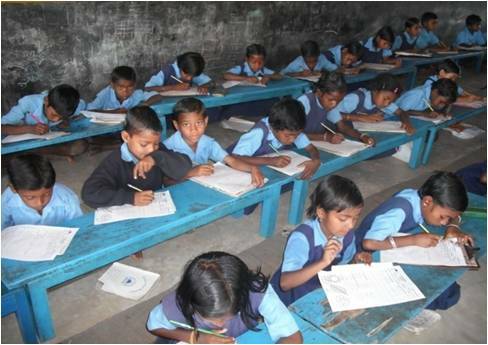 Today, Art of Living is running ten tribal schools in Ghatsila Block and twenty more in the tribal belt of Jharkhand and West Bengal. 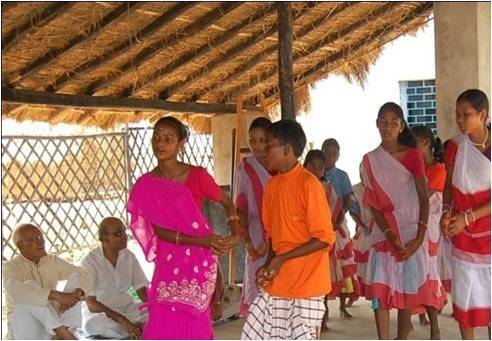 These schools provide education to 2,734 tribal children from 60 tribal villages who come from families that have been ignored for centuries and bypassed from mainstream development. It is not just the students, but entire families who are being uplifted. The tribal school teachers provide counseling to the villagers besides running the adult education program since many years. Regular medical assistance is provided to the villagers by Art of Living doctors who visit these areas at least once in a fortnight to conduct medical camps. Medicines are made freely available for the patients at these camps. Before Art of Living started its tribal school project, malaria was rampant in the area and child mortality rate was pretty high. Today, the regular supply of medical help by Art of Living volunteers has minimized the death toll. The team remained unfazed in the face of many challenges that came up while setting up the schools. The first and foremost challenge was lack of proper connectivity to these remote tribal areas. Miles away from roads, there was no electricity, and water supply in the area. Lack of infrastructure prevented sufficient and timely medical help from reaching, leading to deaths of tribals during emergencies. The Art of Living team led by Chawla ji toiled hard to get the electricity lines and the roads built to reach these places. They also created clean water sources by installing hand water pumps at every school and digging wells. The rising spread of Naxalism in the surrounding area was also a matter of great concern. Today, due to the good work that has been happening over the past decade in this area, there is no threat from the naxalites in running these schools. Initially the parents were reluctant to send their children to school. They preferred to send children to work or engage them in household chores or baby sitting. The volunteers had to convince the parents of the value of education and make all the arrangements for the kids to attend the schools. These schools run free of charge and provide books, uniforms, school bags, bicycles and transportation, along with lunch and milk to the students. Group-based learning is encouraged in the students. This helps them in imbibing human values such as sharing and helping each other to grow. Each group is assigned a leader to encourage the leadership qualities in the students. 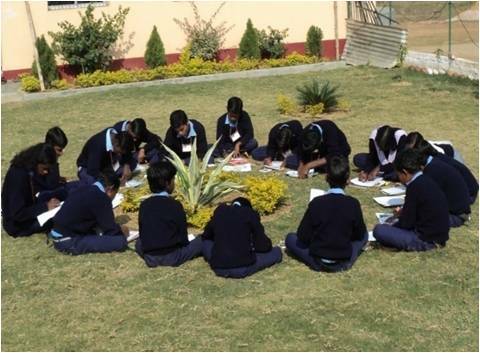 Each tribal school has its own garden in the vicinity of the school structure. 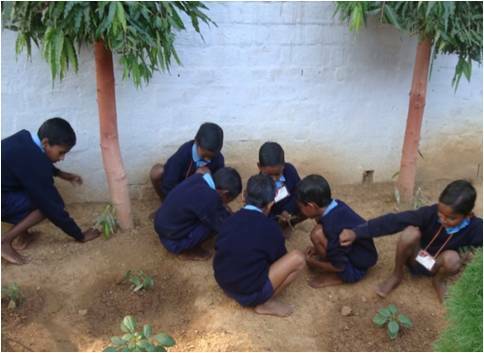 The garden is maintained by the students themselves. Fruits and vegetables are cultivated using zero budget natural farming. 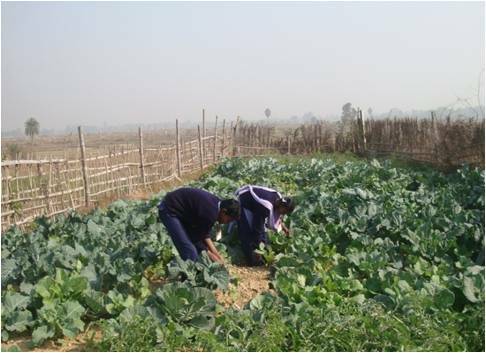 The students learn the value of teamwork and hard work while toiling in these gardens. 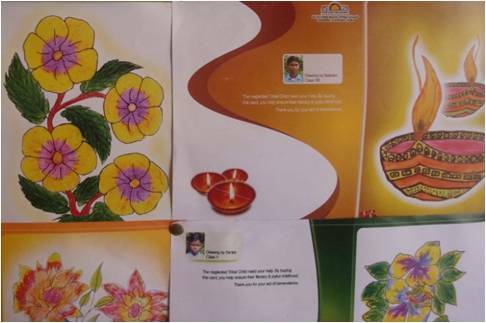 The tribal kids are very good at arts and their creativity is encouraged by giving them opportunities to make craft and decorations at the school. All the charts put up inside the school are either prepared by the teachers or the students themselves. 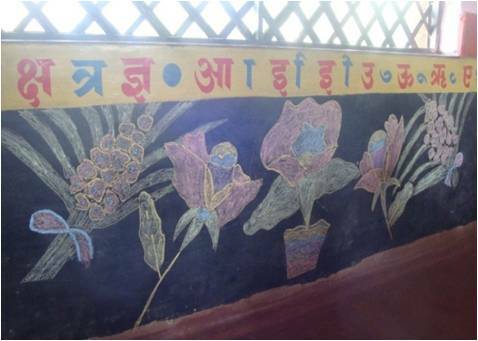 The classroom walls are fixed with blackboards which are used by the students to draw paintings of their choice. When we look at the paintings of these kids, it is unbelievable to learn that there is no teacher appointed to teach them drawing and painting! 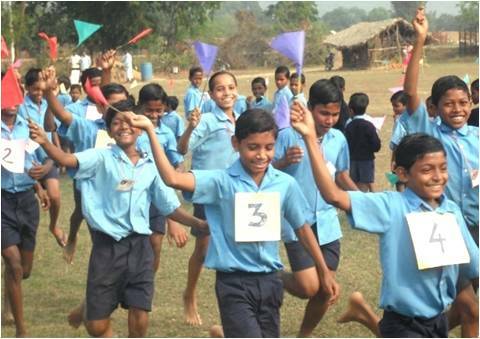 Physical activities are an integral part of their routine at the school and sports events are regularly organized where students from all the schools get a chance to come together and interact with each other. The culture of the tribes is maintained by encouraging the children to perform dances and dramas in their own traditional language and costumes. The middle school has a well-equipped computer lab that provides access to quality educational material. Once in a while excursion tours are organized to give the students exposure to the outside world and expand their thinking horizons. Today these kids have started nurturing the ambitions of becoming doctors and teachers to serve their own community. 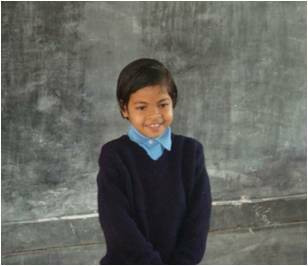 Every morning the students arrive happily at their respective schools. Those students who reside far away from their school are provided with bicycles to come to school. Their day at school begins by cleaning the school campus. This imbibes qualities like responsibility and cleanliness in the students. This activity is followed by fetching water from the hand pumps and watering the plants in the garden next to the school building. After this activity students gather for prayers, which consist of Sanskrit chants and patriotic songs. This activity helps to instill sense of pride and moral responsibility towards one’s community, culture and country. After the prayers, students settle down in class rooms to do exercises and meditation under teacher’s guidance. The breathing techniques improve concentration levels and keep student calm and energetic. The students are encouraged to participate in activities such as singing, dancing, and story-telling to boost their confidence. 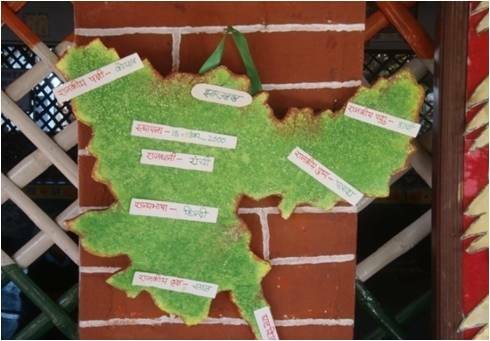 The education is imparted in the national language Hindi, and English, while preserving the native language Santhali. Apart from the languages, the children learn modern science, history, geography, ecology and other subjects taught in schools all over India. Nutritious midday meals and milk are provided to the students. A lot of importance is given to practical learning rather than the rote learning approach. 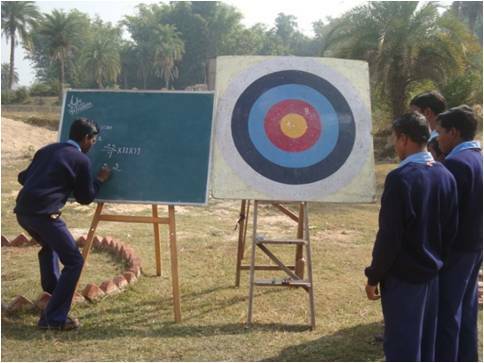 For example, calculating the area of a circle is taught with the help of a board used by the kids to play archery. This makes learning subjects like mathematics an interesting exercise. 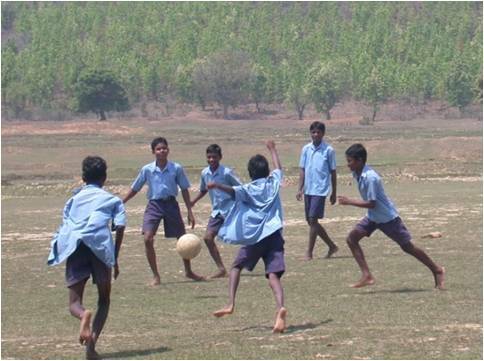 Ample amount of outdoor activities happen at the schools. Thus, the students go back home happy and stress-free at the end of the day. Special attention is given to the development plan for the students when they grow up. A vocational training center is set up to allow the students to learn skills that can help them earn their livelihood. 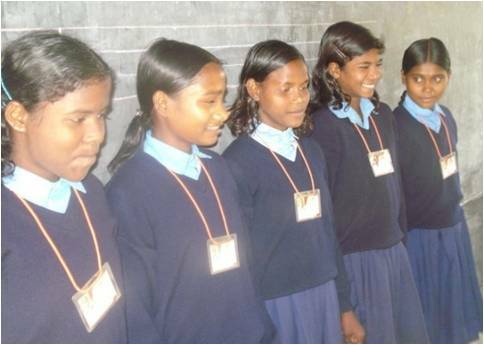 The school uniforms are stitched by some of the students and their elders at this center. The students prepare decorative crafts items that are sold by the volunteers. The team running the project believes that the locally trained teachers are more suitable for the schools as compared to teachers brought from urban areas, due to the fact that local teachers better understand the language and culture of the students. Therefore the team periodically organizes teacher’s training workshops to generate quality teachers at the local level. The project coordinators are also working on programs to facilitate the students with skills that will help them to earn a living within their native instead of relocating to urban areas in search of employment. After visiting the tribal schools in Jharkhand, one can truly feel that this vision of the founder is becoming a reality in this nation with the dedicated efforts of the volunteers of the Art of Living with his inspiration. 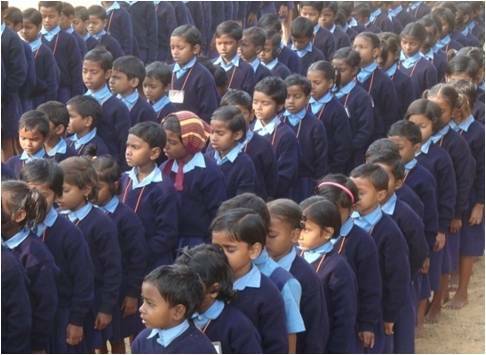 The Art of Living has started 209 such schools all over the country, making education a reality for 24,209 students. 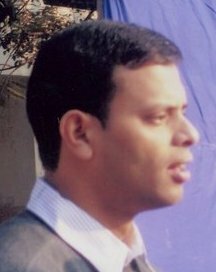 Author Sandesh Sawant is a faculty of the Art of Living foundation and works as software engineer at Cisco Systems in India. The author enjoys working on social causes and has written the article on the basis of his visit to the tribal schools in Jharkhand. A truly inspiring feat of commitment to service. Hats off to Chawla ji and his team for this great initiative to uplift the lives of tribal people. commendable work being done at the areas where it is most needed…. Really inspiring ! 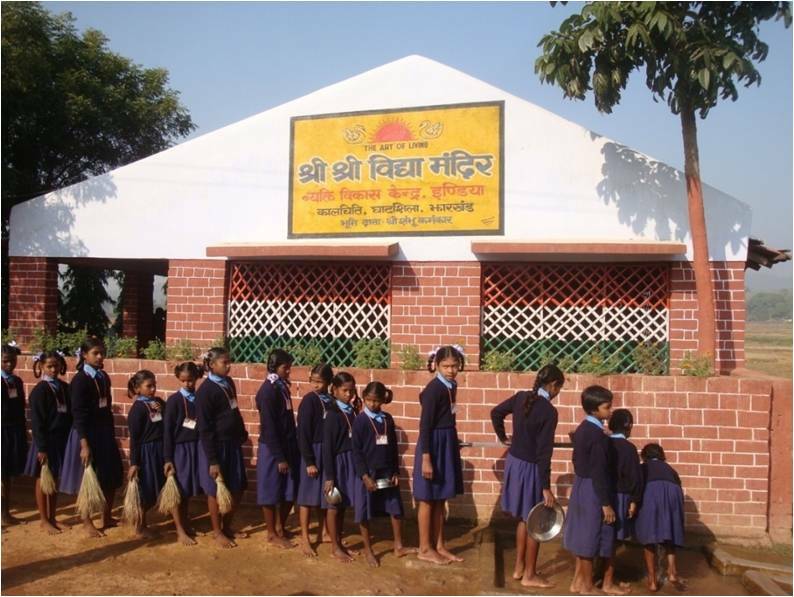 Even we at rajasthan are running such a school in Baran district ..where 200 children of Banjara tribe are getting education. Guruji has entered their lives. Transformation bound to happen. jai gurudev! These are really greatest blessings to children in tribal areas. Thanks to Art of Living for this initiative. With such a huge young demography India is having, i am so glad our future is shaping up in a positive direction.